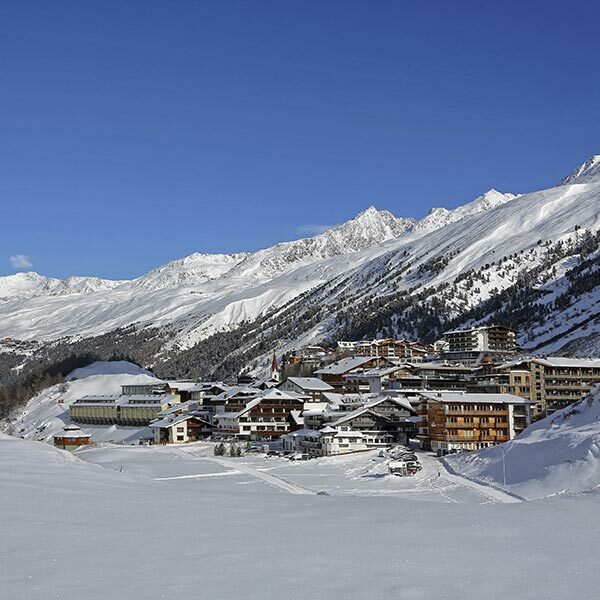 From the 2018/2019 winter season onwards, new horizons for both skiers and freeriders will open up in Hochgurgl – thanks to the brand new Kirchenkar Mountain Gondola Section II. 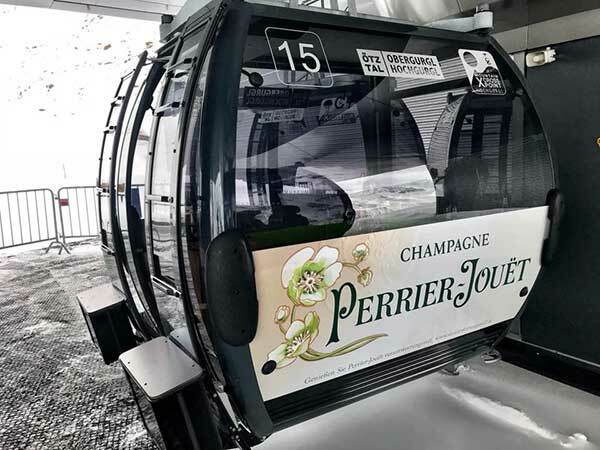 The detachable single-rope gondola lift offers a number of technical highlights, endless opportunities for winter sports fans and a close connection to a champagne brand: we will reveal all this and a lot more in this blog post. 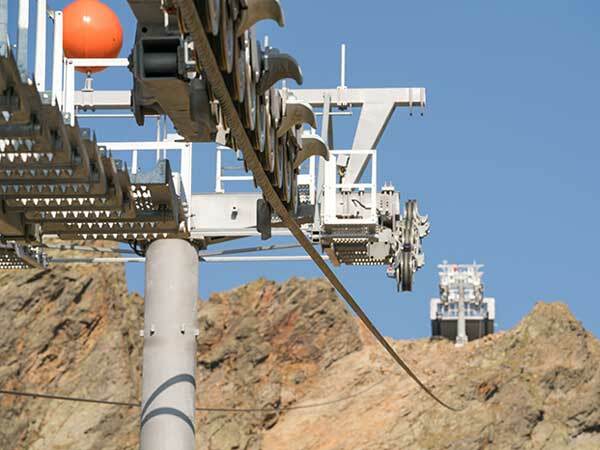 As early as in 2015, Section I of Kirchenkar Mountain Gondola was opened – its base station is located in the multifunctional Top Mountain Crosspoint. 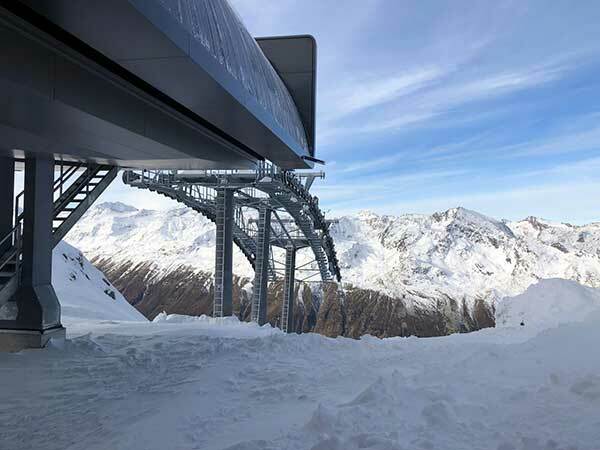 In the 2018/2019 winter season, the longed-for Section II is in operation – and Kirchenkar Gondola is literally crowned with a new top station at 2839 meters above sea level. The new section equally has the same technical refinements that already characterize the first section: ample spaces in the 10-person cabins, built-in seat heating and smoothly running ropes that almost invite you to make a short power nap – but you shouldn’t forget to get off. 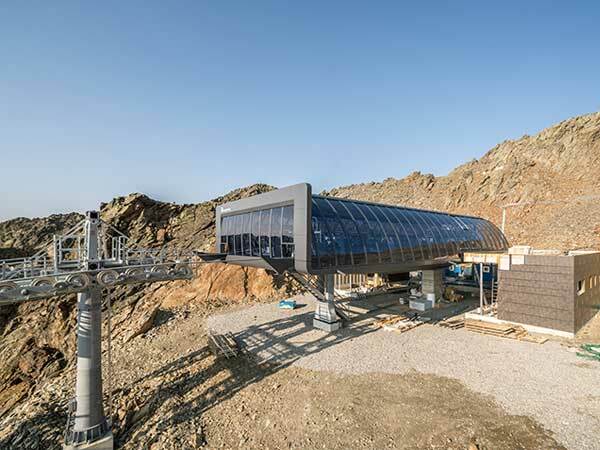 Since the spring of 2018, work has been underway on constructing the Kirchenkar Mountain Gondola to open the new ski jewel in time for the new season. 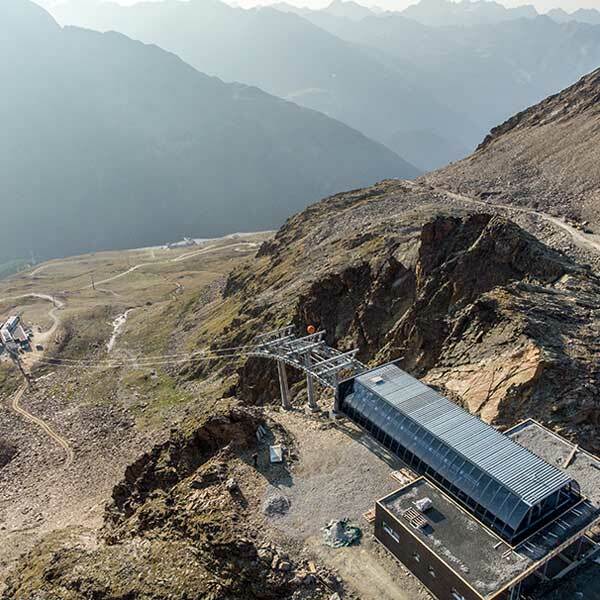 In the video below (in German), Alban Scheiber from Hochgurgl’s ski lift company tells us more about the construction phase and explains many interesting details – for instance, two essential factors, a new ski piste and snow-making system were added. 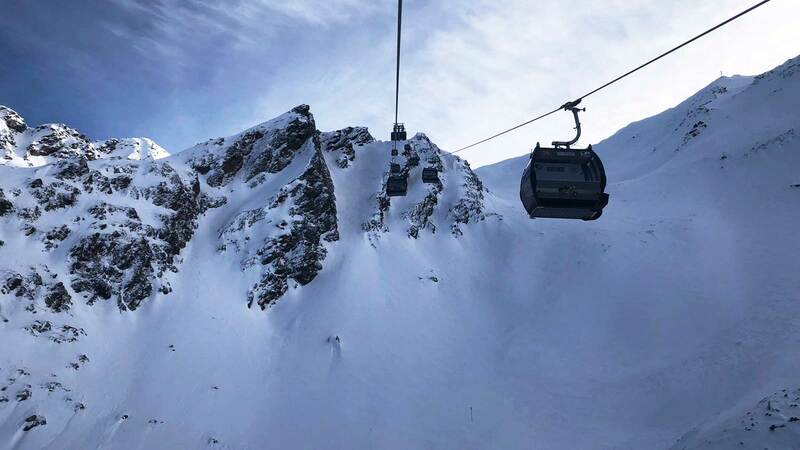 Section II of Kirchenkar Mountain Gondola increases the ultimate skiing fun by another 2.2 kilometers of red and blue pistes: 1.5 kilometers of blue and 0.7 kilometers of red ski runs await you. 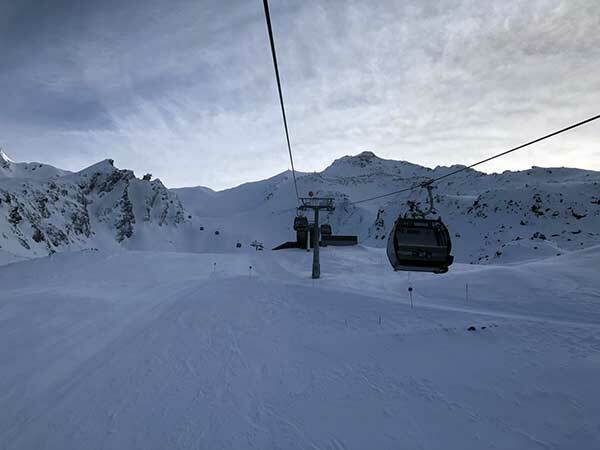 The full range of pistes in the Diamond of the Alps now comprises 112 slope kilometers and 25 top modern lifts. But not only ski aficionados will be happy about the new gondola loft. 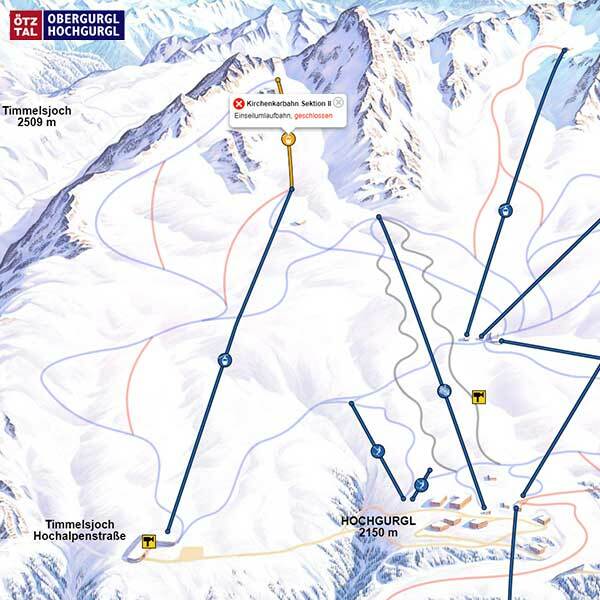 Freeride fans in particular will benefit from the new Kirchenkar Section II, looking forward to a varied and playful area to the right and left of the new top station – which can be explored at own risk and with due regard to the current snow and weather conditions. Would you like a glass of fine champagne? 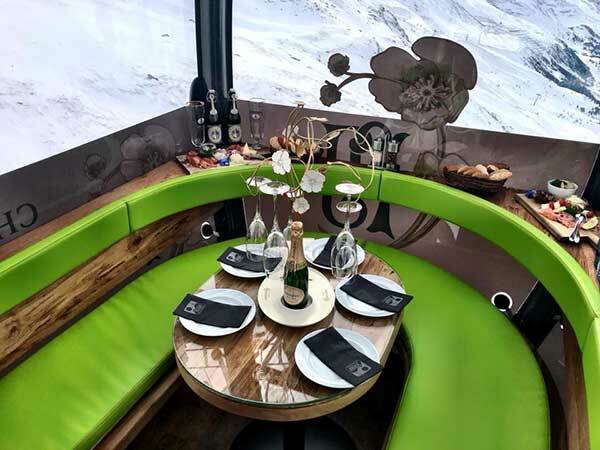 The ride on the Kirchenkar Mountain Gondola can be perfectly combined with culinary highlights in an amazing way. 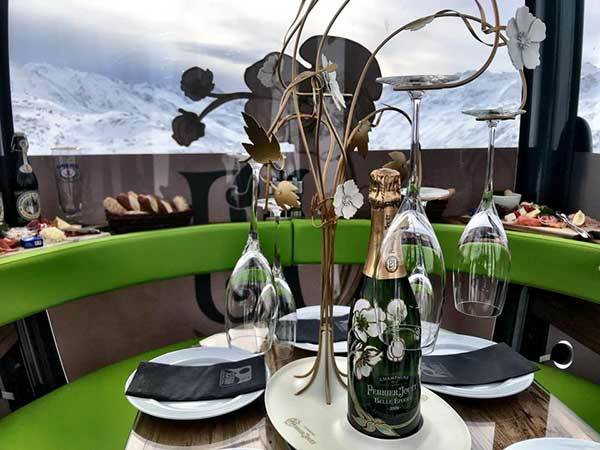 Gourmands who reserve the Perrier-Jouët gondola cabin will be treated to drinks – including champagne – and delicacies prepared at the Top Mountain Crosspoint Restaurant. 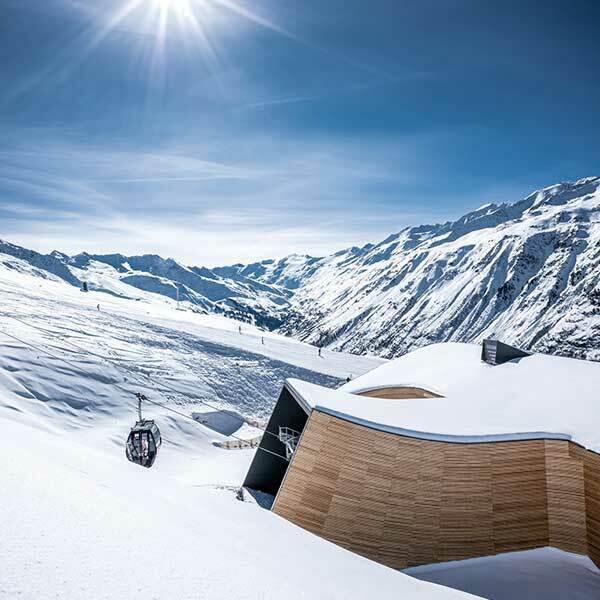 Up to 5 people can take advantage of the offer and experience a culinary highlight for all senses and a feast for the eyes, coupled with uninterrupted panoramic views of the snowy Ötztal mountain world. The offer can be bookable directly at the Top Mountain Crosspoint. 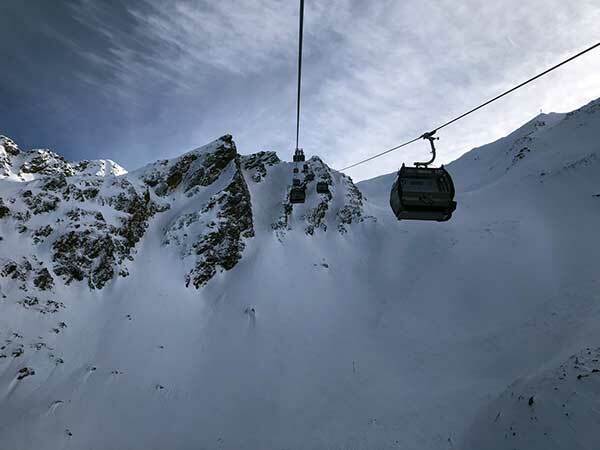 Section II of Kirchenkar Mountain Gondola has already opened its doors for winter sports enthusiasts. We wish you heaps of fun on the first uphill ride to almost 3000 meters. And of course also on the way downhill along the new ski pistes ⛷️🏂💨! 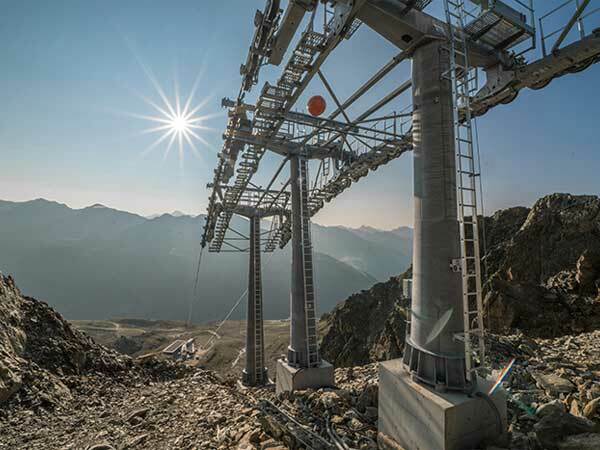 The Core of Hohe Mut Mountain Gondola	Discover now! 106 Snow Guns, 9 Slope Grooming Machines, 2 Men	Find out more!